Communities and businesses urged to submit potential projects immediately. 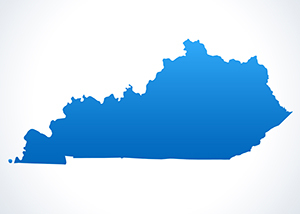 FRANKFORT, Ky. – Investors throughout the United States are seeking investments in projects located in Kentucky Opportunity Zones. For that reason, the Kentucky Cabinet for Economic Development is urging business and community leaders to submit information regarding potential projects as soon as possible. The Cabinet has created an online submission form at KYOZ.com in the “Seeking Investors” section that allows those looking for capital to enter information for their project. The form covers such items as the type of investment, location, specific project details and other information. Once submitted, the information will be available to investors so that those interested may be able to contact communities or businesses directly. The Cabinet oversees the Opportunity Zone initiative, which aims to encourage and attract significant institutional, corporate and individual investment in Kentucky’s Opportunity Zones. The designation offers significant federal tax breaks and deferrals to entities and individuals investing in Opportunity Funds, which support development projects within one or more zones. The KYOZ website, which is updated regularly with presentations, news, details, research tools and other useful amenities, demonstrates the advantages of Kentucky’s Opportunity Zones to potential investors. For interactive maps, a full list of Kentucky Opportunity Zones, current corporate investment projects, data, opportunity funds info and more resources, visit www.KYOZ.com.